Prescription sunglasses allow you to drive, play sport or partake in leisure activites with extra protection and clear vision whilst eliminating that harmful reflective glare. With our dry and windy conditions, we believe a pair of good quality sunglasses is a necessity. Sunglasses are essential to protecting your eyes from glare and damaging ultraviolet (UV) rays. 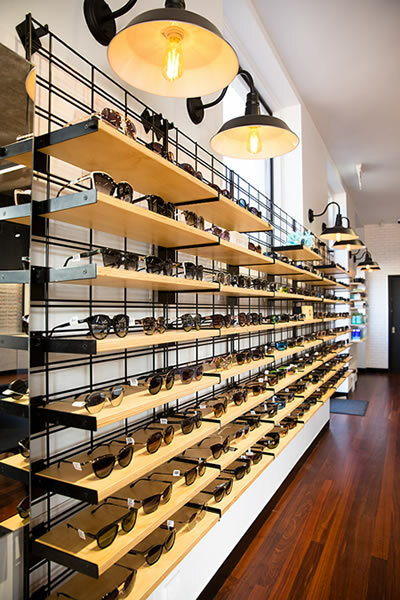 We carry an extensive selection of designer brand sunglasses that can be made into prescription sunglasses. You can select from polarised or tinted single vision or progressive lenses. We can also advise on specific sporting prescription lenses for leisure pursuits such as golf, cycling and tennis.